We are a specialist design consultancy based in London. We provide services for all your planning needs. We pride ourselves in providing a professional, honest and reliable service to make your experience from inception through to completion nothing but the best. With our close knit team built up of Architects, Interior Designers and engineers,we work on a range of projects From Residential, Commercial and Hospitality helping our clients achieve their desired outcomes. At Tailored Architecture & Design we believe that every person and project no matter how big or small is unique. Our design process revolves around you. We enjoy working closely with each and every one of our clients tailoring and creating meaningful and unique spaces to the individual clients needs. Our philosophy is simple. Maximise the potential of the property within the client’s budget, whether that be a simple refurbishment, structural renovation or high-end fit out. We build strong, trusted relationships with our clients through honest, professional and creative advice, cutting-edge design and craftsmanship and budget-conscious intelligent build solutions. We work with you to turn your property dreams into a reality and create exceptional living spaces; designed, constructed and carefully thought through to maximise contemporary living requirements while emphasising your own personality, taste and design flair. Zulufish offers a full design, build, interior design, bespoke joinery and project-management service, overseeing a project from conception to completion. If you can not find all you need to know about Zulufish here, please visit Zulufish Residential for Design and Build at www.zulufish.co.uk or Zulufish Interiors for Interior Design at ww.zulufishinteriors.co.uk. Huntsmore are an award-winning Project Management firm specialising in the renovation and restoration of period homes. Based in Kensington, we offer a fully independent management service running the project from design through to completion, removing many of the stresses associated with a home renovation project. Our work follows a four stage process taking your from the brief, design, build and all the way through to completion.. From the outset, we will take complete ownership of the design and build process, working directly with all suppliers and providing you with a single point of contact, removing the effort and stresses associated with a home renovation project. We work with specialist, trusted professionals with a proven track record. They range from architects, interior designers, structural engineers, builders and contractors. GDL Property – where reputation matters! A one stop shop for its customers, GDL Property sets new standards for luxury, comfort and innovation. Our mission is to deliver boutique-standard of highly personalised service, tailored to suit the unique needs of each of our clients, achieving excellence in their projects. GDL Property is a professional design and build company, based in London, specialised in providing a complete and comprehensive experience, including full project management encompassing all aspects of residential property work – from the initial architectural drawings, through to the bespoke interior design, with the highest quality of craftsmanship expressed in the construction work in-between. With exceptional customer service and high quality workmanship at the heart of our business, we have gained an enviable reputation as one of the most trusted and respected design and build companies. People are the heart of our business. Clients are our valued partners. Excellence is our commitment. 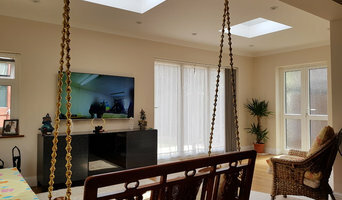 BTL Property is a South West London based Building Company that specialise in basements, extensions, loft conversions and full house refurbishments. We offer a complete service, either to ‘design and build’, or to work with Architects and Interior designers that you have already appointed. The Company was founded in 2002 and since then we have worked on hundreds of projects and have established ourselves as one of South West London’s leading builders. At BTL Property we pride ourselves on providing a professional and personal service at a fair price. All projects are led by one of our Project Managers and every project has a Site Manager and Foreman to ensure the build is completed on time and to budget. All of the work we carry out is fully insured and guaranteed for six years. We are also proud members of the Federation of Master Builders and are approved Delta Membrane registered installers. At Aflux Designs, we love the art of turning something from the mundane and old to the bespoke and new! We always give the same level of energy and enthusiasm whether a project is small or large. We love exploring new methods and being challenged, whether it be creating a new space where there was none before or finding a similar look for a more cost effective price. Our mantra is 'luxury design at affordable costs’. We also undertake full basement conversions; offering a affordable full package and one stop shop service, starting from the planning (council approvals) to conception/interior designs and finally the construction/fitting out phase. Our aim is to try and minimise the number of different third parties you would need to deal with by taking ownership of the full process and therefore taking away the stress that comes with it! We are completely client focussed, offering a 'one stop shop' service across our trusted team. We listen to our clients, which makes each home unique and and different. Aflux Designs founders, Amit & Sara, share the same passion for design. With backgrounds in luxury design, project management and experience across all spectrums of projects in London, we have an all-round skill set to take your ideas from concept to completion. NK Living is an interior design led design & build company with a passion for reinventing period living spaces for modern lifestyles, whether that be adding a functional extension or undergoing a full house refurbishment. With over 25 years experience, our trusted team & project management service offers you a hassle-free way to transform your home. We work with our clients from their first vision and initial design process all the way through to completion, we stay within budget offering creative & realistic solutions. Holt offer clients the complete package when it comes to bespoke building solutions. With both directors closely involved with every Holt project, the team has built a reputation for crafting exceptional residential properties that are not only innovative, but are also carefully project managed from start to finish; bringing in experts from a range of services to ensure every home is flawlessly finished. We are an established and well-respected fine building company. From luxury private homes to commercial and business enterprises, from brand new builds to basements, from bespoke joinery projects to the interior design and refurbishment of an elegant pied-a-terre, we pride ourselves on achieving excellence with each and every MH Costa project. Having gone from strength to strength, the company now boasts a highly skilled professional team of more than 75 craftsmen and artisans, representing all aspects of the building industry. The team includes architects, interior designers, carpenters, plumbers, painters, joiners, electricians, plasterers, fitters, roofers, tilers and landscapers, to quantity surveyors, engineers, IT specialists and stonemasons. We are committed to always delivering an excellent quality turnkey service to our clients, using highly skilled tradesmen to ensure complete satisfaction and exceptional customer value. We never cut corners; we always go the extra mile. Our success can only be built on your satisfaction. From the initial undertaking of a project, through its careful planning stages, its execution and delivery, on time and to budget, the expertise of our management and workforce is a winning formula. Contact us to find out more and get your project started! Obespoke bring an array of interior design and build services to the table but we like to start at the drawing board. We are design-led and passionate about creating beautiful, bespoke "living" spaces to suit your lifestyle. From designers, architects, and project managers, to hand-picked craftsmen and a dedicated construction team, we bring expertise, design flair, a meticulous attention to detail and, above all, enthusiasm to each design project. Put simply, we love what we do! With over 20 years' experience in the London property market (several hundred if we do it by head count! ), we understand exactly what's required at every stage to create your dream home. We would be delighted to show you how our experience will guide you from concept to key in the door. Robert’s 21st Century Design is one of Hertfordshire’s leading contractors for residential and commercial clients. With hundreds of projects finished, we consistently deliver a high quality service. Our company offers a complete service starting with the first few sketches through to assisting you with building regulation approvals and all the steps until finishing touches are complete. Established over 10 years ago we offer a one-stop shop for your project from the creative planning stages through to completion. Don't move, extend - we build residential extensions, loft conversions and undertake internal renovations. Our clients’ visions are placed at the centre of each build and we believe this partnership ensures a result that will exceed expectations. A design and build company does pretty much what it says on the tin – designs and builds your home; helping you design your own house from scratch, pick out the small details and actually bring your dream home to life. They will take on the responsibility of planning the project, drawing up the designs, costing, sourcing the building materials and supplies, building the structure, installing any permanent features and possibly advising on the interior design of your home; all while consulting you every step of the way. 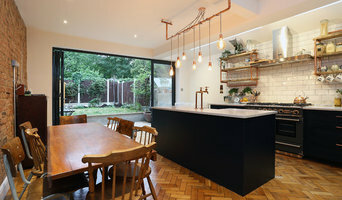 A design and build company in Uxbridge, Greater London will usually employ in-house architects to handle all of the technical design aspects of your renovation or build, whether that’s to design a house or just a kitchen, and will also have main contractors or project managers that will oversee the construction work. The project managers will either work with external building contractors or construction companies, or the design and build company may employ their own builders to carry out the construction work. Either way, all the work is managed by one company and so this means communication is easier and the work is more streamlined. You’ll probably have just one design and build contract, making responsibility simpler and clearer, and also reducing costs for you. However, you should always check this design and build contract closely to see exactly what the firm is agreeing to take responsibility for, so that you don’t get left in the cold at any point. You don’t have to build your own home to hire an Uxbridge, Greater London design and build firm. If you are renovating one or a few rooms of a house, a design and build company in Uxbridge, Greater London can still help you – they can design a kitchen, bathroom, bedroom or living room and then complete all of the renovation work for you. 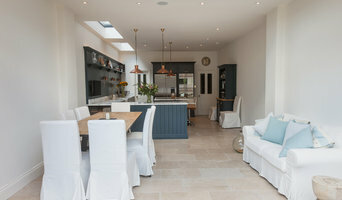 This could be a really good option if you are selling your home and want to increase its value quickly – hire a design and build firm in Uxbridge, Greater London to redesign and renovate a few rooms of your house without the hassle of dealing with various professionals or the time-consuming effort of doing it yourself. If all of this sounds ideal, then start searching for design and build procurement companies in Uxbridge, Greater London that can design a house, or room, for you and discuss design and build contracts with you. If you want to look for more specialised contractors, designers, architects or builders to help you renovate or build your own home, then you can still find them on Houzz. Here are some related professionals and vendors to complement the work of design & build: Interior Designers, Landscape Architects & Garden Designers, Architects & Building Designers, Photographers. How long have you been an established design and build company in Uxbridge, Greater London? Find a design and build company on Houzz. Narrow your search in the Professionals section of the website to Uxbridge, Greater London design and build contractors. You could also look through Uxbridge, Greater London photos to find a project you like, then contact the design and build company in Uxbridge, Greater London that created it.